Infinite io has liberated data storage intelligence from traditional closed “big-box” storage systems.  Infinite io has liberated data storage intelligence from traditional closed “big-box” storage systems. Our network-based storage controllers intelligently place data on low cost cloud storage, reducing cost by as much as eighty percent while performance-enhancing data that is actively used. Our network-based controllers are the first to allow IT managers to seamlessly integrate new storage technologies such as flash memory and cloud with no changes to applications, network file paths, file systems or the user experience. infinite io’s founders over the years have spent a lot of time in large corporate datacenters. One of the things they often asked themselves was “why don’t I see much activity or flashing lights on storage systems?” Well, as it turns out, eighty-percent or more of all stored data is written a couple times and goes “cold” forever. Infinite io set out to build a product that finds this “cold” data and move it to low-cost cloud storage.